Patients often come to our office with spider veins, hoping a few injections will cure them. But even though they may look innocuous, spider veins are often indicative of venous insufficiency. Addressing spider veins while ignoring the underlying veins that feed them is unlikely to be successful. Healthy veins carry blood through a series of one-way valves. These valves allow blood to flow from superficial to deeper veins and then to the heart. Normal valves prevent back flow. Defective valves cause blood to flow backwards and pool inside the veins. Pressure then builds up and the vein’s wall weakens, distends, bulges and twists. Red, purple, or blue fine veins appear in starburst-like clusters near the surface of the skin, measuring between 0.3 and 1.2 mm in diameter. Most spider veins are caused by venous insufficiency involving deeper veins. Reticular veins are large, blue or purple veins, from 1.5-2.5mm in diameter. They may protrude above the skin. Incompetent reticular veins are often associated with spider veins and may also be indicative of insufficiency in underlying deeper veins. 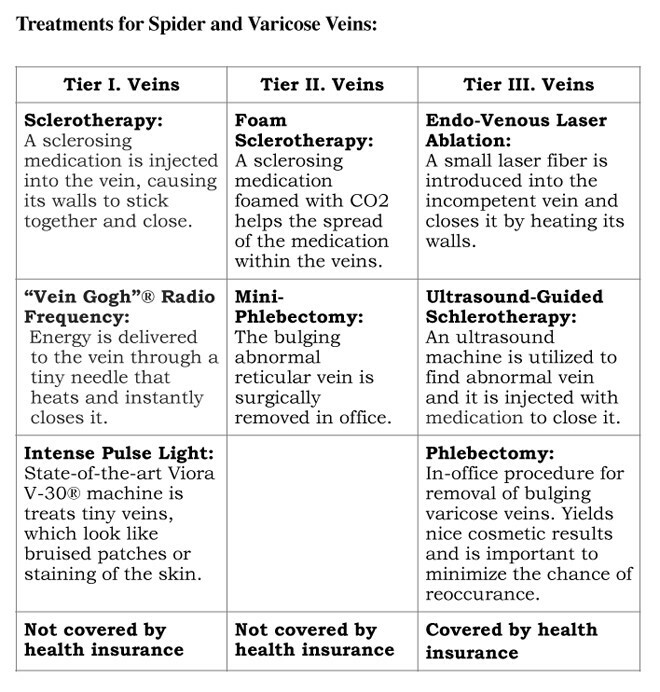 Treating spider veins should be deferred until after treatment of the reticular veins. Varicose veins are enlarged, swollen, bulging, rope-like veins that occur on the surface of the legs and thighs. They usually indicate venous insufficiency in the great or small saphenous veins, which may be associated with deep vein insufficiency. 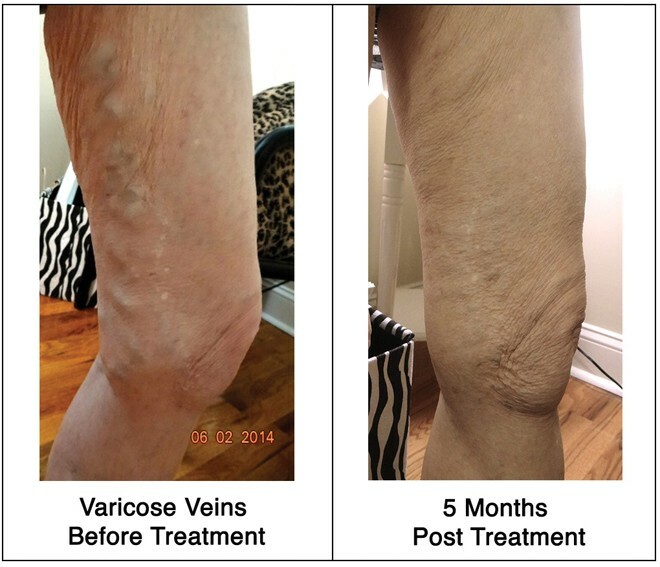 Varicose veins should always be treated prior to addressing spider veins.